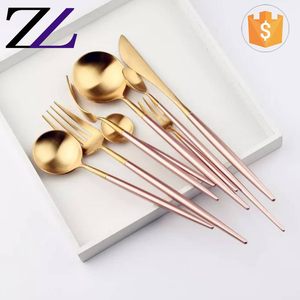 1 YRS Danyang Jingtian Import And Export Co., Ltd.
1 YRS Jieyang Shengde Industrial Co., Ltd.
5 YRS Jiangsu Connection Industrial Co., Ltd.
4 YRS Jieyang Shengde Industrial Co., Ltd.
10 YRS Jinhua Kingstone Tableware Co., Ltd.
Q: How long is your delivery time9 A: Generally it is 5-10 days if the goods are in stock. or it is 30-60 days if the goods are not in stock, it is according to quantity. Q: What is your terms of payment 9 A: Payment&lt;=1000USD, 100% in advance. 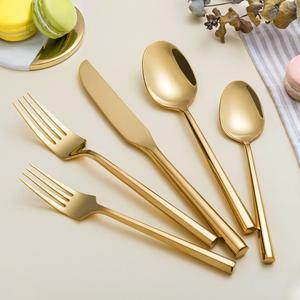 3 YRS Dongguan Mejoy Houseware Co., Ltd.
10 YRS Homart Trading Co., Ltd.
5.The metal handle can laser your own logo and meet customers'request. 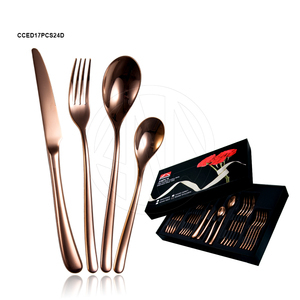 6.The most popular cutlery set , gorgeous and beautiful appearance. 4. Can I get some samples before place order and how long for a sample9 Yes, but you&rsquo;ll pay for the product freight. 6 YRS Guangzhou Kaiyuan Daily Metal Products Co., Ltd.
2 YRS Xingning Maysun Industrial Co., Ltd.
7 YRS Jieyang Wan Ye Da Stainless Steel Industry Co., Ltd.
7 YRS Jieyang Aiyida Stainless Steel Enterprise Co., Ltd.
2 YRS Shanghai Nazhi Industrial Co., Ltd.
2. OEM is 3. If you want to import some products to test the market, we can provide 4pc sample for evaluation first. 2.Our factory are so closed to the port so that the traffic is very convenient,and you can reduce the freight as well as send the goods timely. The first of our choice is of total amount as the deposit before the mass production; 70% as the balance against the shipment. 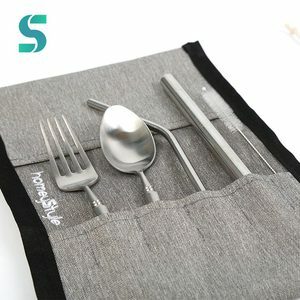 1 YRS Guangzhou LiangYi Wedding Supplies Co., Ltd.
Our Company We Jieyang Shunhaoxing Hardware Factory has more than 10 years production experience on stainless steel cutlery. Excellent and stable quality,a sound management to ensure long time cooperation with customers. Machines can help us to save labor cost,then we can offer you the best price. 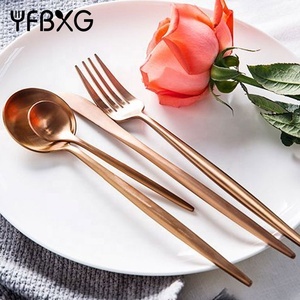 4 YRS Foshan Ron Hospitality Supplies Co., Ltd.
11 YRS Jieyang Qingzhan Rustless Steel Co., Ltd.
4 YRS Hefei Youngly Trading Co., Ltd.
Alibaba.com offers 513 brass flatware set products. 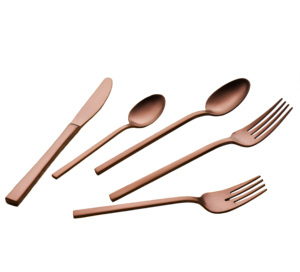 About 84% of these are flatware sets, 6% are dinnerware sets, and 1% are knife sets. 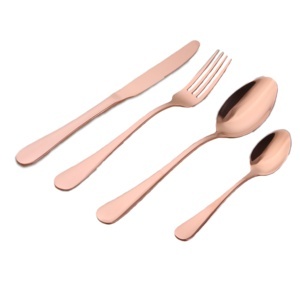 A wide variety of brass flatware set options are available to you, such as free samples. 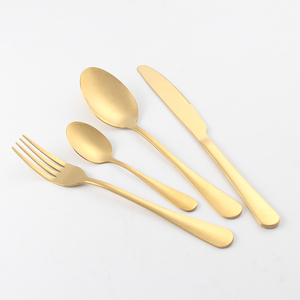 There are 513 brass flatware set suppliers, mainly located in Asia. 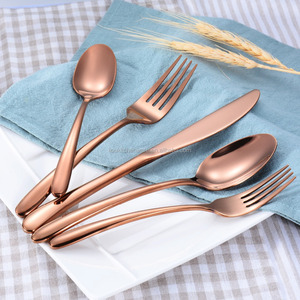 The top supplying country is China (Mainland), which supply 100% of brass flatware set respectively. 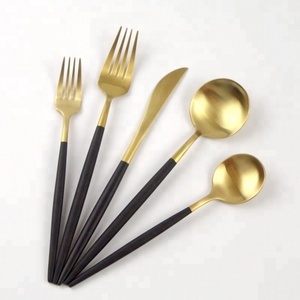 Brass flatware set products are most popular in North America, Mid East, and South America. You can ensure product safety by selecting from certified suppliers, including 66 with ISO9001, 30 with BSCI, and 26 with ISO14001 certification.